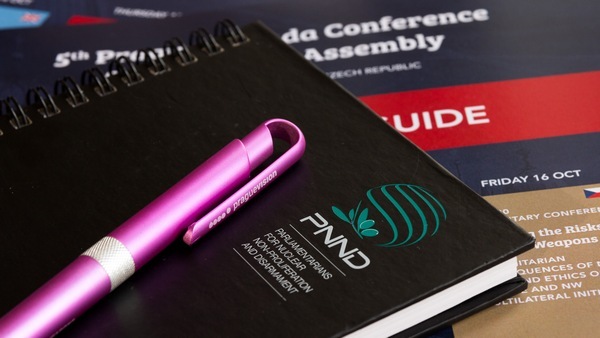 PNND was involved in major activities in Prague, Geneva and Washington in October, and is now at the United Nations in New York for the General Assembly voting on nuclear disarmament resolutions. 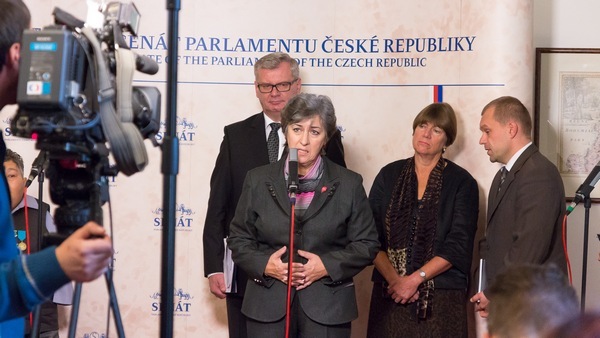 Legislators, academics, diplomats and NGOs met in Prague from Oct 14-17 for the 2015 PNND Assembly and the 5th Prague Agenda Conference. A Joint Statement of Legislators and Religious Leaders for a Nuclear Weapon Free World was presented to Kim Won-soo, the UN High Representative for Disarmament Affairs. The statement commemorates the 70th anniversary of nuclear weapons being used and the United Nations being established. 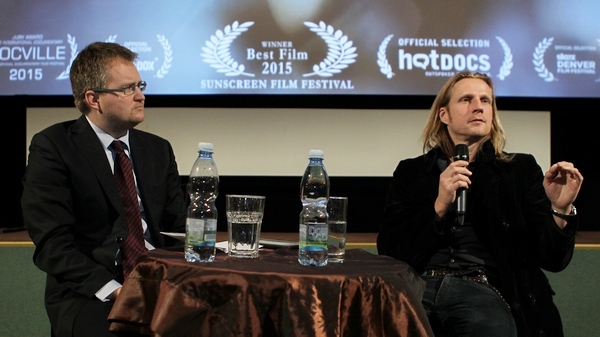 The Czech premiere of the movie ‘The Man Who Saved the World’ was screened at the historic Lucerna Cinema. The movie tells the story of Lt Colonel Stanislav Petrov who 30 years ago probably prevented a nuclear war by making a choice not to follow Soviet nuclear command and control procedures when the early warning system mistakenly showed a US nuclear attack. An International Youth Pledge for Nuclear Abolition was presented to PNND leadership by Rimma Velikanova, the coordinator of Global Wave 2015 and one of the young campaigners who co-drafted the pledge at a Youth Summit for Nuclear Abolition in Hiroshima in August. 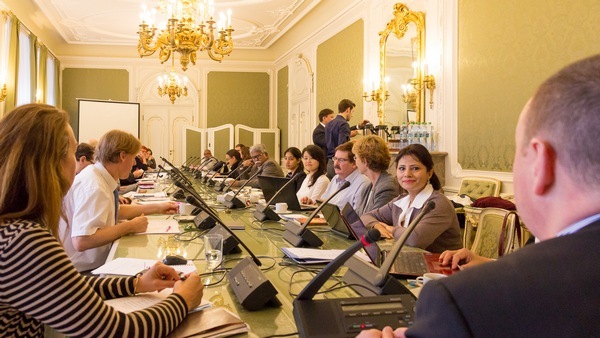 A special PNND workshop on The Role of Europe in Nuclear Disarmament was held on Oct 14. Specific initiatives discussed included a prohibition on use of nuclear weapons (or in the interim a move to no-first-use), and the establishment of a European Nuclear Weapon Free Zone. PNND held its annual council meeting on the final day of the assembly. The meeting affirmed the PNND Co-Presidents and Council members for the next two years (or until the next PNND Assembly), discussed key events and opportunities for progress on nuclear disarmament and adopted the PNND program of work including PNND's activities with partners and cooperating organisations. A detailed report from the assembly and videos of all session will be published soon. On October 18, at the 133rd Assembly of the Inter Parliamentary Union (IPU) in Geneva, PNND was accepted as a Permanent Observer to the IPU. This means that PNND can now participate as an organization in all IPU assemblies. This is an addition to PNND members serving on the delegations from their individual parliaments. 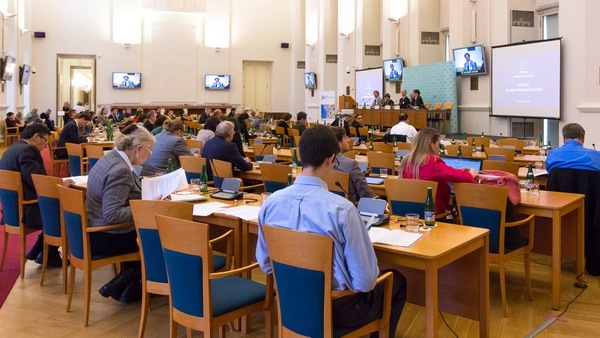 The IPU adopted action resolutions on digital freedom and fairer migration. 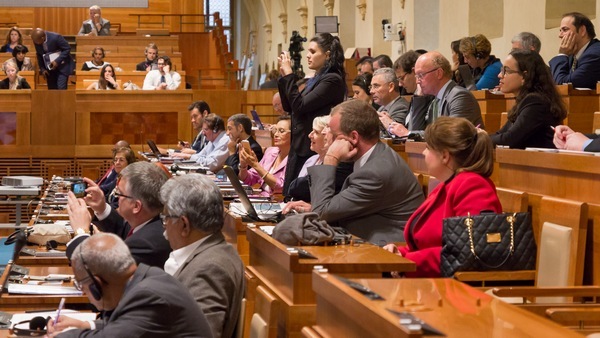 The resolution on digital freedom, proposed by PNND Council member Birgitta Jonsdottir (Iceland), urges parliaments to review national laws to prohibit the interception, collection, analysis and storage of personal data without informed consent of concerned individuals or valid court order. The IPU Assembly included a session on the International Court of Justice, highlighting successful examples of ICJ cases resolving disputes, and preventing or ending wars. These included cases where smaller, less powerful countries were victorious over more powerful aggressive countries (such as Nicaragua v the USA and New Zealand v France). PNND Global Coordinator Alyn Ware spoke about the current case in the Court lodged by the Marshall Islands against the nuclear armed States on non-compliance with their nuclear disarmament obligations. Alyn indicated that parliamentarians could encourage their governments to support the case by intervening – indeed the ICJ has contacted all States Parties to the NPT noting the possibility of their interest in the case and their right to intervene. PNND Co-President Senator Ed Markey and member Barbara Lee (US House of Representatives) hosted the Nuclear Free Future Awards on Capitol Hill on Oct 28. The laureates included Ambassador Alexander Kmentt (Austria) for his work on the humanitarian dimension of nuclear weapons, Marshall Islands Foreign Minister Tony de Brum for his action taking the nuclear-armed States to the International Court of Justice on non-compliance with their nuclear disarmament obligations, and Sister Megan Rice for civil resistance to nuclear weapons systems. (See Nuclear Free Future Award for the full list and descriptions of laureates). On Monday Nov 2, the UN General Assembly began voting on nuclear disarmament resolutions, including new resolutions to highlight the humanitarian and ethical aspects of nuclear weapons, and to commence multilateral nuclear disarmament negotiations through Open Ended Working Groups. Voting will continue until then end of the week. See UN to vote on nuclear disarmament resolutions. Please visit www.pnnd.org and www.facebook.com/pnndglobal for more information or contact PNND head office with any questions.